Intuitive Surgical (NASDAQ:ISRG) is set to report its Q3 2018 earnings on October 18, and we expect the company to post low double digit growth in its installed base. This will likely drive the Instrument & Accessories, and Services revenues higher. The company has seen steady growth in procedures in the recent past, and this trend will likely continue in Q3 as well, and result in more da Vinci system shipments. We currently forecast the Q3 adjusted earnings to be around $2.80 per share. 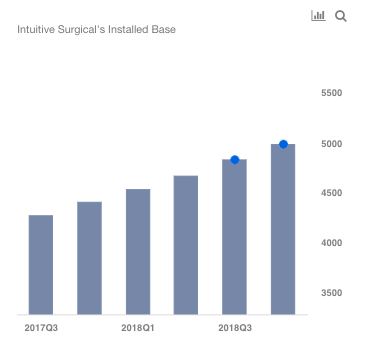 We have created an interactive dashboard ~ What Is The Q3 Outlook For Intuitive Surgical ~ on the company’s expected performance in Q3 and Q4. 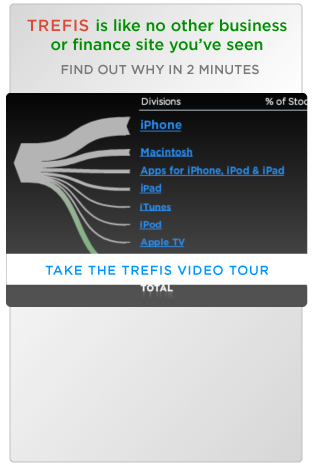 You can adjust the drivers to see the impact on the company’s earnings and price estimate. Intuitive Surgical’s installed base has seen steady growth in the past, and currently stands at 4,666 units. We forecast it to grow to approximately 4,826 units in Q3 and to a little under 5,000 units by end of the year. This can primarily be attributed to expansion of procedures, which will likely drive the demand for da Vinci systems. Note that the procedures grew in the high teens in the previous quarter. New products, such as the da Vinci SP surgical system, should further aid the procedure growth in the coming quarters. However, we expect the average pricing to decline for products, in line with the trend seen in H1 2018, given an increase in trade-in transactions. This should impact the overall systems revenue. Instruments & Accessories, and Services revenue will likely trend higher in the near term, and beyond. The increased adoption of the da Vinci systems and expanded scope of procedures, require greater training, maintenance, and materials, given the complexity of the systems. As such, with the growth in the installed base, Instruments & Accessories and Services revenue are also expected to rise. It should be noted that the Average Instrument and Accessories revenue per procedure of $1,850 in the previous quarter reflected a modest growth from the prior year period, and we expect the growth to continue in Q3 and Q4 as well.